Don't miss one of the top summer music festivals in the country! 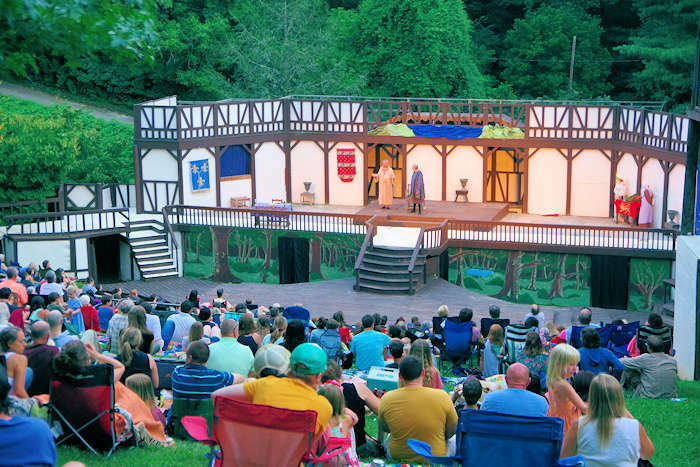 Each summer, the Brevard Music Center presents a big variety of 80+ events and performances during a 7-week span. 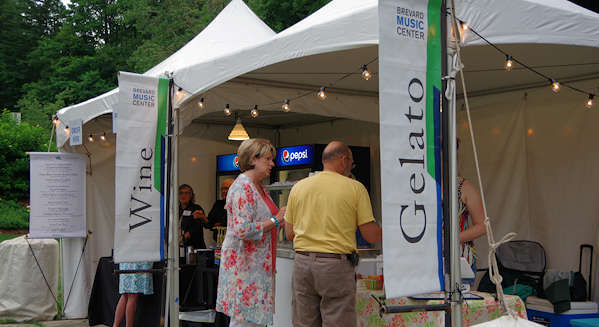 The BMC Summer Music Festival includes an exceptional line-up of symphony, opera, chamber, pops, jazz, country, bluegrass and folk concerts. The Festival's Artistic Director is Keith Lockhart, also Principal Conductor of the Boston Pops. As one of the country's top summer training programs, the Center's 500 gifted young musicians perform alongside an artist faculty from world-renowned orchestras and universities - plus some well-known headliners. Their campus is about 34 miles southwest of downtown Asheville. 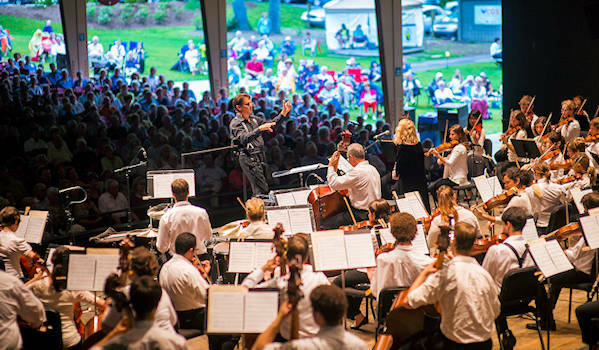 During the 2019 season, symphony, chamber and opera masterpieces by Bach, Beethoven, Tchaikovsky, Brahms, Chopin, and others take center stage in their 1,800-seat open-air auditorium and in a variety of more intimate spaces. 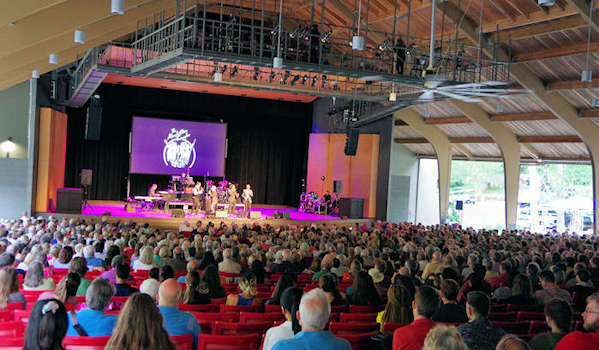 Non-classical guest artists include: Jazz legend David Sanborn (pre festival on June 7), The Temptations with The Four Tops (June 22), Michael Feinstein (June 25) and Harpeth Rising (July 16). Béla Fleck headlines a Blue Ridge Banjo Concert on August 17 in conjunction with his second annual banjo camp. A two-week Festival Within a Festival celebrates composer Aaron Copland. Also, special family-friendly evenings include Raiders of the Lost Ark in Concert (movie + live symphony). 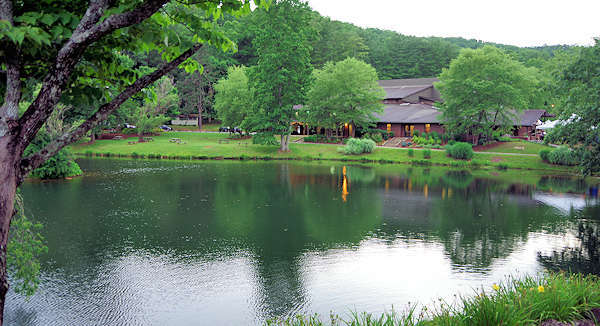 Located in Brevard, an easy 45-minute drive from downtown Asheville, the Brevard Music Center provides young musicians with the opportunity to develop their talents with renowned guest artists. For 2019, see three fully staged operas—Floyd's Susannah, Gounod's Roméo et Juliette, and Strauss, Jr.'s Die Fledermaus—plus two recitals including Opera's Greatest Hits and Broadway in Brevard: An Evening of Frank Loesser Favorites. 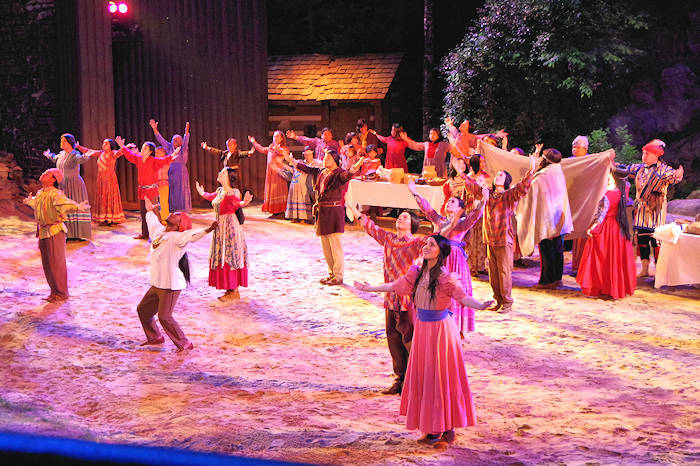 All operas are staged in the Scott Concert Hall at the Porter Center (on the Brevard College campus) on Thursdays and Saturdays and complemented by English subtitles above the stage. 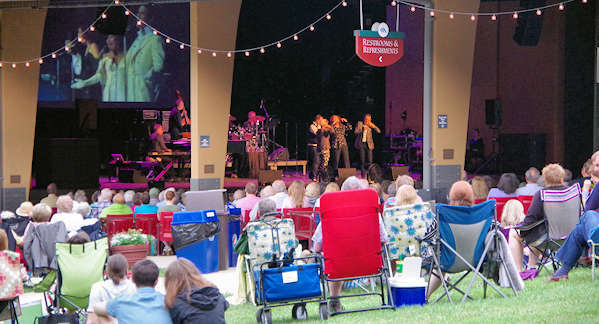 Tickets to Brevard Music Center’s Summer Festival start at $20 for lawn tickets. We recommend paying extra for covered, reserved seating in case of rain and for better sound ($22-$77, depending on concert). 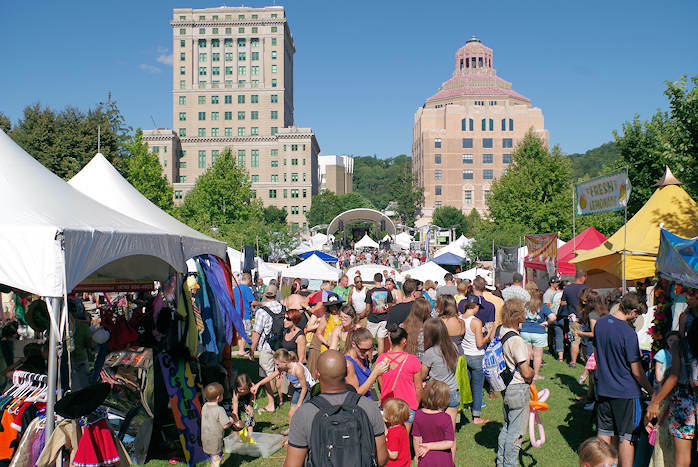 Lawn seating is free for children under 17 (with a paying adult) and students 18 and older with a valid ID. Many performances will be presented free of charge. Many concerts will sell-out, so get tickets in advance. For tickets and concert information, go to their Web site or call 828-862-2105. Parking is free. Brevard Music Center is one of the few organizations of its kind that owns and operates its own physical facilities. The BMC campus encompasses more than 145 buildings spread over 140 beautiful mountainside acres in the Blue Ridge Mountains of North Carolina. Arrive early to picnic by the lake. Or picnic on the lawn adjacent to the Whittington-Pfohl Auditorium during a show. Bring your food or buy snacks, beer, hard cider and more at their concessions stand. From Asheville: Allow 45 minutes to drive. GPS: 349 Andante Ln, Brevard. Take I-26 E to the Asheville Airport exit, #40. Turn right off the exit onto Highway 280 and drive 16 miles into Brevard. As you approach downtown Brevard, you will see directional signs to the Music Center. For their complete schedule, go to their Web site.